My real life friend Misty and my blogging friend Tara challenged me to interview myself on my blog, so I decided to give it a try! Business-wise, I’m preparing for what may be my biggest blogging month yet! I’m getting ready to officially release a Get Organized challenge, I’ll launch my third eBook titled Chaos to Clutter-Free next week, and I’m planning on participating in the annual 31Days writing challenge! I think that all bloggers – and all organizers – are on a different walk in their own journeys. For example, Nony from A Slob Comes Clean is still working on decluttering her house – she’s not a natural organizer but she’s learning! Then there’s Lisa from Organize365 who’s always been organized and now goes into other people’s homes and offices to help them turn their spaces into something beautiful. As for me, I’ve always loved being organized but I had a hard time finding my way. 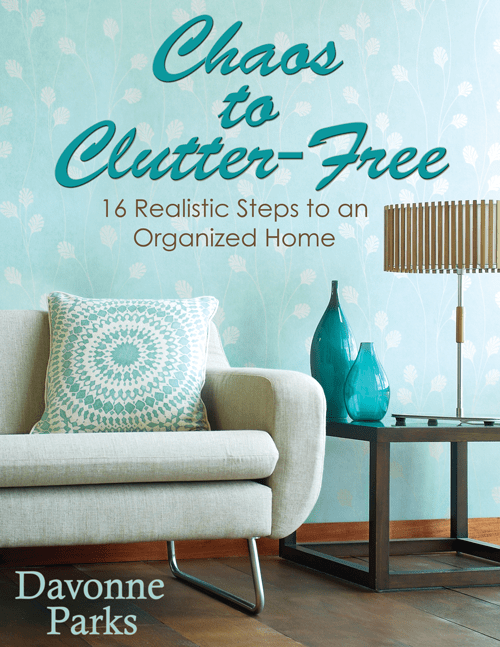 Now that my home is (mostly) clutter-free, I want to help others find that freedom as well. I love to write about parenthood and Christianity, but once I started noticing that people kept coming back for more and more of my organizational articles, I started focusing in that area and it’s a great fit for me! I love writing about organizing. I also know how much I was hindered in my own life when my house was a mess, so I feel so honored to be able to help others in this way. I fit writing into little pockets of time – mornings before my kids are awake, during afternoon quiet time, and a couple of evenings a week after they’re in bed. When I have larger projects going on (like now! ), my husband is really great about letting me go to a local coffee shop one evening a week while he hangs out with our kiddos at home. While I’m working, I generally write each article from start to finish but I’d like to get to the point where I’m working on several articles at one time. I’d love to crank out a few rough drafts one day, polish them up the next day, then a day of photo preparing, and then spend a day of final edits and scheduling. Thanks for reading as I shared a little about myself! Be sure to stay tuned for my 31 Days of Simple Organization series that will begin this Wednesday! To keep the tour around blogland going, I am challenging my blogging friends Sara from Embracing Destiny and Jody from The Sweet and The Salty. Davonne- I love this post! It is so great to point out how each blogger and organizer is different and has their own unique way of helping others get organized! I can’t wait to read your new book! I’m so honored you tagged me! I’m just getting back into blogging so this will be great for one of my first posts back! I loved reading your interview with yourself and am super excited about your new book and your 31 days series…I always glean so much from you! Thanks, Jody, and welcome back to blogging! Have fun with the interview! Yay!! So glad you did the interview 🙂 Great post!! This was fun to read! I like to hear how others go through the creative process of writing. You have a lot of great goals. Good for you! Thanks for the mention. I will take the challenge and do this on my blog as well.